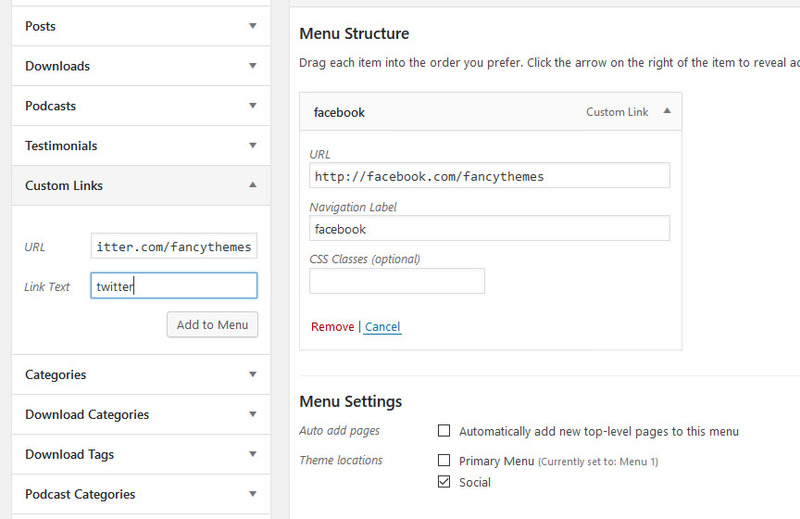 Create a new menu (dashboard > appearance > menus) called social icons or something similar. Hit the "create menu" button. Next select "social" from menu settings, you find the menu settings below menu items. Once you have added the custom links and updated the menu settings, hit the "save menu" button.